Cath completed The Grid on December 31, 2003 on Mt Isolation accompanied by John Swanson & Nan Giblin. 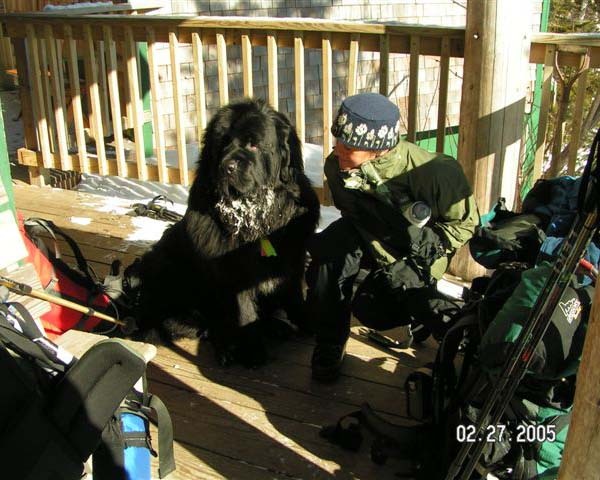 She has been a member of Androscoggin Valley Search & Rescue since 1999. In 1999 she adopted a trail and has been maintaining Moosilauke's Beaver Brook Trail ever since. She enjoys hiking with others in pursuit of their goals. From January thru December 1994 she hiked the entire NH 100 Highest list, most with hiking & bushwhacking enthusiast Cindy DiSanto. 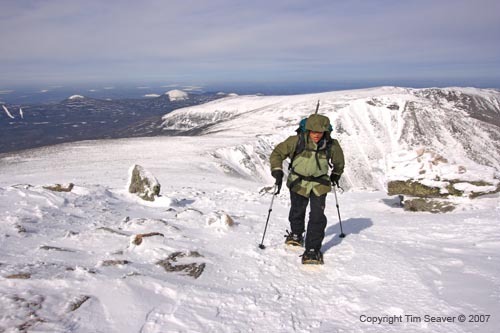 During the calendar Winter 1994/95 she hiked the 48 NH 4000’ers with Cindy DiSanto & Steven Martin, starting in December hiking Owl’s Head and finishing on Middle Carter in March . It took 3 attempts to summit Mt Isolation. She hiked them all again in Winter 2006/07. 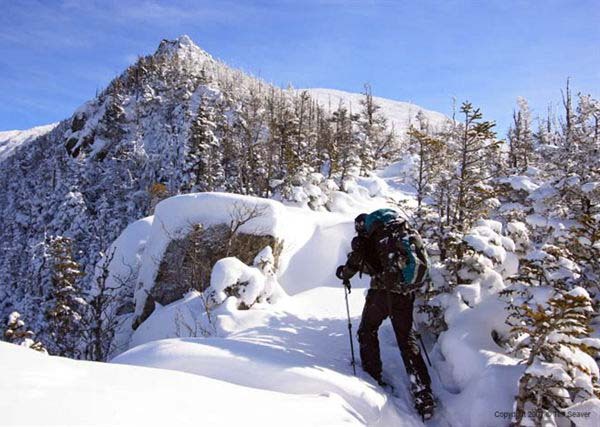 This time she expanded the list to include the other New England 4000 footers to complete all 67 NE 4000 footers in one winter. Here are a few pictures of Cath in action. Special thanks to Tim Seaver who provided the above photos. To see more of Tim's awesome photography please visit www.VermontPhoto.com.